Giada has this week added a new addition to their range of fanless mini PC systems, in the form of the newly launched Giada F200 that is now available to purchase priced at $110. The Giada F200 is fitted with a Intel Celeron N2807 Bay Trail processor supported by 2GB of RAM and consumes just 4.3 watts for power whilst in use. The mini PC is capable of being loaded with a choice of operating system including Android, Linux and even Windows 8.1 depending on your preferences. 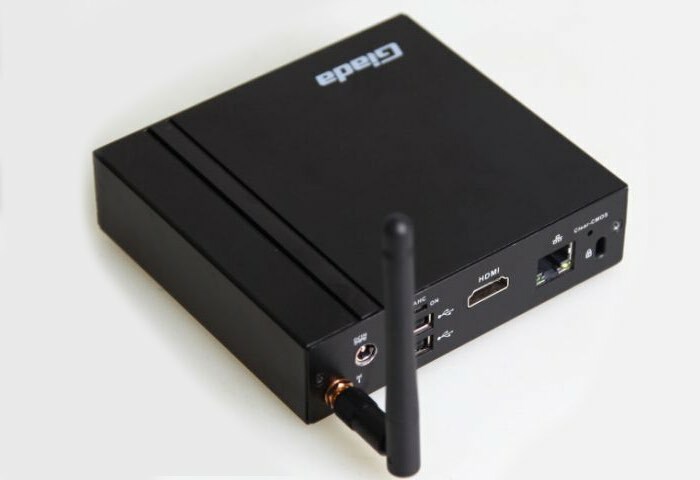 Other features of the fanless mini PC include connectivity via both the optional 802.11ac WiFi module or an optional 3G mobile data card. The Giada F200 is a compact virtual desktop mini PC that is dustproof, noise proof and durable and has been designed to provide a solution for a wide variety of different applications including thin-client, virtualisation terminals, digital signage and industry control. Ports on the Giada mini computer system include 2 x USB 2.0 ports, 1 x USB 3.0 port, 1 X VGA port and HDMI connection. For full specifications jump over to the Giada Tech website via the link below.